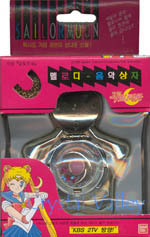 Star Locket, Moon Stick & the Luna Pen there are no other RP-toy's for this season. Please click on "Click" below each thumbnail for a larger view of that image! to locate the 7 rainbow crystals. as a symbole of their love. Please note: I would like the Bandai Japan versions of both these items!